New Delhi, March 21 (IANS) Celebrity memoirs and biographies, despite the terrific attraction they have for readers, have come to be quite controversial in recent times. 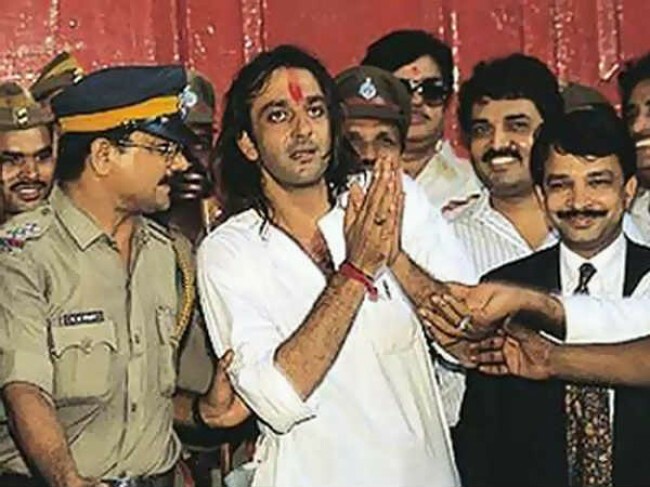 It was not very long ago that actor Nawazuddin Siddiqui was compelled to withdraw his memoir “An Ordinary Life” and it seems yesterday once more with Bollywood star Sanjay Dutt “upset” over his “unauthorised” biography by Yasser Usman. For well over past one month, the publisher, Juggernaut Books had been approaching media outlets with their “hottest book in March”, sharing the electronic copy or the pdf of the book with concerned reporters and setting an embargo till March 20 for extracts from the book to be published. Even as a couple of extracts appeared a day or two before the agreed embargo, it was only on Tuesday evening (March 20) that Dutt took to twitter and conveyed that he was “upset” with this “unauthorised” biography by Yasser Usman. “I have not authorised either Juggernaut Publications (sic) or Yasser Usman to write/publish my biography. Our lawyers had sent them a legal notice, in response to which Juggernaut Publications said that contents of the proposed book are based on information available in public domain from authentic sources. Juggernaut responded on Wednesday morning, saying that they were “sorry to hear that Mr Sanjay Dutt was upset” with the book and “to pay respect to Mr Dutt’s wishes,” they would not be putting out “any more extracts from the book in short-form media”. The publishing house, whose investors include Nandan Nilekani and Bharti Airtel, however, clarified that “the book has been painstakingly footnoted” and that Usman has referred to stories that were already “uncontested and widely reported” in the public record for many years. Interestingly, even as the publisher has said it will not be rolling out any more extracts from the book in short-form media, there is no question about the book being withdrawn. This is evident from the fact that Juggernaut is currently selling its e-book version for Rs 50 on its website. While Dutt may be “upset” with the book, publishing insiders say there’s little he can do legally in this regard. The reason is the difference between an authorised and an unauthorised biography. While the former has complete approval and support of the subject, the latter does not. And one can gain little by contesting an unauthorised biography in court until and the material is defamotory. For this book, however, Usman has referred extensively to direct quotes from Dutt, reports that have already been published and have gone uncontested for many years. The book also carries an extensive 20-page reference section for the 200-page text on the actor. In his tweet too, Dutt has not mentioned any particular section of the book that he is particularly upset with. He said that he had not authorised the author or the publisher to write/publish his biography. Neither the writer nor the publisher require approval of a given subject to write a book on him or her as long as it is not defamatory. Dutt could have challenged the book on grounds of its contents but not on grounds that it is a biography on him, without his approval. Taking into consideration the long reference section of the book, almost everything that Usman has written in the book seems to be based on material that is already available in public domain. But what purpose will not rolling out further extracts serve when the book is already up for grabs? “To show that we respect his words and don’t want him to be unhappy, there are a couple pending (extracts) and we will hold off on them,” Chiki Sarkar, Publisher of Juggernaut told IANS. Earlier, several extracts have already been published. Try. Fail. Try again. Fail again.